cafe decor, Mosaic tiles made of reclaimed wood, natural decorative tiles. one of our popular vintage tiles have been used to decorate this cafe. 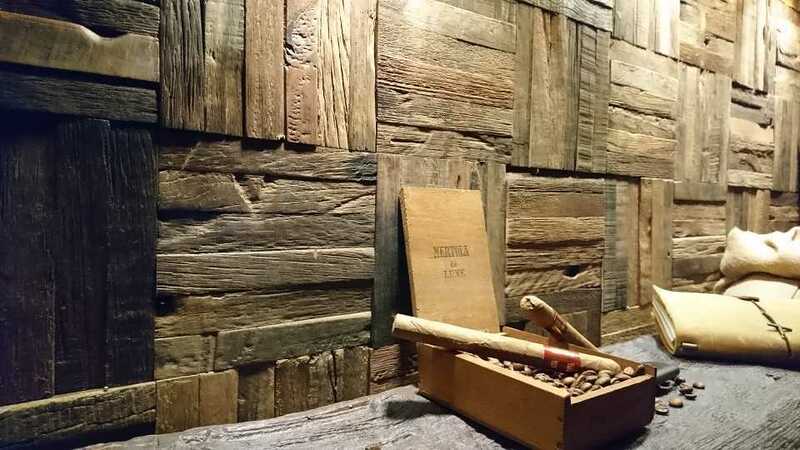 Wood Wall Decor For Cafe.